Not Just about your feet: Custom Orthotics can resolve pain in back, hips and knees. Mountain View Foot & Ankle Institute Blog Not Just about your feet: Custom Orthotics can resolve pain in back, hips and knees. When you suffer from back, hip, or knee pain, it can do more than just cause you discomfort. It’s likely to make doing the things you need to do and the activities you love painful and difficult. At Mountain View Foot & Ankle Institute, we understand the difficulties chronic pain can cause and are here to offer a solution that’s easier than you think — custom foot orthotics. Custom foot orthotics can modify and adjust how your foot moves and functions. Made to fit inside your shoe, orthotics can change the distribution of force and provide cushioning to reduce impact. They can also help to realign your feet. While these three benefits — the distribution of force, cushioning, and alignment — can ease foot pain, custom orthotics can also help with lower back, hip, and knee pain. Certain foot problems can strain on your lower back and other weight-bearing joints, like your hips and knees, especially issues that affect the biomechanics of how your foot functions, your balance, or your gait. Let’s look at one of these to show how an issue in the foot creates a domino effect that impacts other parts of the body. 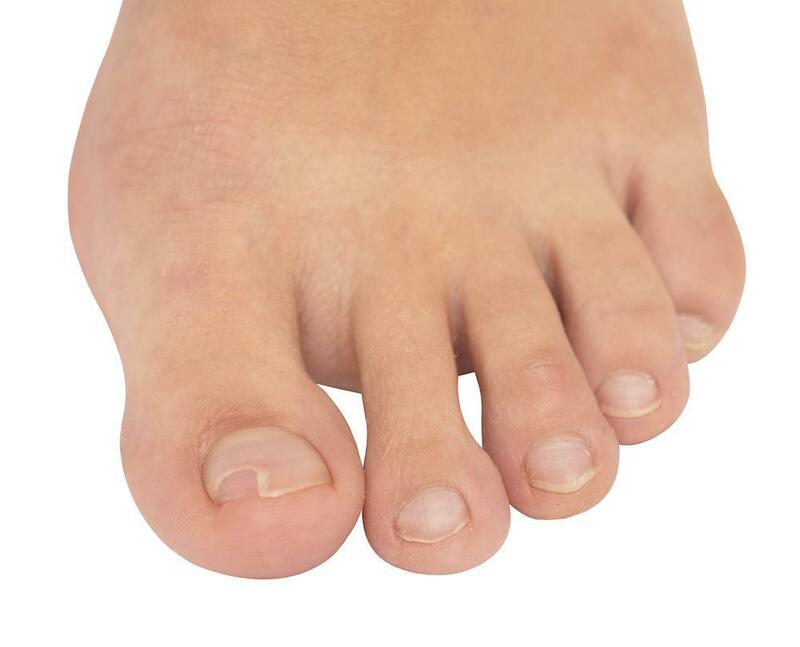 If your feet naturally roll inward or pronate, your bodyweight sits on the outer edge of your foot. This uneven distribution of weight causes the knees to turn in, toward each other. This knock-knee stance leads to the femur (thigh bone) entering the hip joint at an odd angle, destabilizing the pelvic region and leading to an unsteady hip posture. This misalignment in the hips impacts the spine and can put extra strain on the lower back. Custom foot orthotics are more than just shoe inserts that you can get at the local drug store. Foot orthotics are prescription medical devices that alter the foot biomechanics to correct how you walk, run, or stand. In most cases, orthotics fit into two categories. Rigid, or functional, orthotics are hard devices custom-fitted to your feet and shoes. Made from hard plastic or carbon fiber, they can reduce pain in the hips, knees, and lower back. Soft orthotics, also known as accommodative orthotics, offer soft compression with each step. They’re designed to give your foot a cushion and reduce the force of impact when walking or running. They’re often made from plastic or graphite, topped with a softer material, such as neoprene or foam. To get the best fit and the most rewarding benefits from your custom orthotics, we recommend visiting a podiatrist or foot surgeon for an examination. Here at Mountain View Foot & Ankle Institute in South Ogden, Utah, we complete multiple motion and muscle tests, as well as gait analysis, to determine the best orthoses for your feet. Once we determine what you need, we take a cast of your foot in a neutral position and begin building your custom-fit foot orthotics. Although they may feel odd at first, after you get used to wearing them, custom foot orthotics, can significantly reduce hip and knee pain, as well as pain in the lower back. You may also notice less leg fatigue after being on your feet or engaging in activities. With the help of a podiatrist and orthotics, you can get back to doing the things you love without the unnecessary pain and discomfort. Call us to make an appointment with David B Glover, DPM, or use our online form.